ePassportPhoto.com v.3 is up and running! Given your wonderful feedback over the past few months, we have released today a friendlier version of the service. We look forward to continuing providing the best online experience for passport photos. This entry was posted in Passport Photos, Uncategorized on October 22, 2013 by tshiran. Become a fan of ePassportPhoto.com in Facebook! This entry was posted in Free, Passport Photos, UK on February 8, 2009 by Maya. China is one of the major cities in the world that attracts millions of tourists from across the globe every year. The country boasts of friendly people, primeval locations, and magnificent architecture. Any visitor to the country would require a valid passport and visa. If you are living in China and want to get your passport made in China, you must submit the passport application to the nearest passport issuing office of your area. If the person is not physically present in the jurisdiction of Hong Kong, he or she is advised against forwarding the passport application to the Passport Office in Hong Kong. The passport photo must only be in color in 2”x2” (5 cm x 5 cm) with a white, off-white, or very-light colored background. The passport photos must not have blue color in its background. In case you are visiting to China, you must have a passport with no less than 6 month’s remaining validity and one blank Visa page on the passport. In addition, the person must have one completed Visa Application Form (Q1) with one black & white or color passport photo stapled or pasted on the form. If you are planning to visit the country with regard to your business, investigation, lecture, technological or cultural purpose, and short-term studies, you must also possess the invitation letter from the host company or the unit. Other than this, you must possess a letter from your company. Besides, all visitors must show proof of adequate funds to support themselves while they stay in Hong Kong. 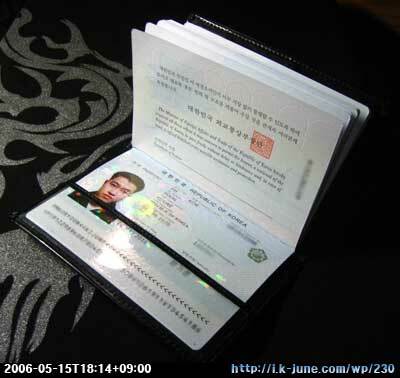 This entry was posted in Biometrics, International, Passport, Passport Photos, Travel on March 9, 2008 by Admin. 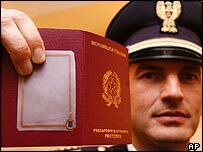 Passport rules have changed all over the globe in past few years, and now children and infants in the United States as well as in many other countries need to have seprate passports. However, it is not easy to take passport photos of the infants. Parents and photographers face great difficulty in keeping their floppy-headed infants looking straight at the camera. Moreover, keeping the children calm during this entire process is another challenge to ensure an acceptable passport photo. · Not have his or her face covered While the passport photo of the kid should be compliant with passport rules set by the government authorities, it is quite challenging to make your baby and lens work in coordination. If you are unsure how your baby would respond during passport photo session, you can try this infant photography technique. This technique would surely help you get best passport photo of your child. Put a white piece of cardboard on the bed or the floor, and make your child lie down on it. The parents of the child must stand beside the photographer and try to keep the baby engaged during passport photo session. This way, your child can be more attentive, and would not also fall asleep. After few trials, you can expect to get a reasonable passport photo of your child. This entry was posted in Baby, Biometrics, International, Passport, Passport Photos, Travel on March 8, 2008 by Admin. Can you trust your home-printer to print your own passport photograph? Often you need to pay hefty amount of money to your local photographer for a passport photo with an expressionless face and a plain white background. While taking a passport photo is one of the easiest things to do, ironically majority of the U.S. photo studios tend to charge a lot of money to print a set of four identical passport photographs. If you are looking for an economical solution, you can give a serious thought to printing your own passport photos using home-printer. That’s true. You can save an enormous amount of money by getting passport photos printed at home. If you have a photo printer at home, you can easily convert any of your digital pictures into a valid passport-size photo meant for your passport or visa applications. In fact many of you, who are fond of photography, must have already printed your own passport photos at home. Those, who have never done it earlier and need more time to learn this art, can either send the digital photos to a friend, who knows can print them for you. Alternatively, you can also look for some online photo service providers, who can send you free prints of your passport photos. If you are worried about the sizing requirements of passport photos of in your country, you can log on to ePassportPhoto. The website allows you to upload your photo, resize it, select the country-specific dimensions, and save it as a .jpg file. Now you can either print it at home, or send it for free printing to international photo service providers by using the links on the website. If you are a computer-freak, you can even cut and paste an image, edit it, and get a simple but satisfactory product while sitting at home. Now it is possible to get multiple passport photos at the cost of buying one by using your home-printer. This entry was posted in Free, Passport, Passport Photos, Travel on March 5, 2008 by Admin. How to look best in your passport photos? NEVER wear an old battered shirt, or a ripped pair of trousers or a tee-shirt while going for a passport photo. How can you feel nice about your appearance when you dress-up miserably? The camera might miss your dress, but it would certainly figure out how you feel about yourself. If you think you can outsmart the camera by hiding a bad hair day under a hat or you can use sunglasses to cover up red eyes, think again! You cannot take a driver’s license photo wearing a hat or sunglasses. Dump these items and opt for a natural look on your face while going in for a passport photo. You are required to have your passport photo taken, soon after you pass your driver’s license test. Therefore, do not forget to carry your brush or comb before you leave the house. According to new guidelines released by State department, toothy smiles in passport and visa pictures would now be categorized as unusual or unnatural expressions. The person must maintain neutral expressions with both eyes open, and mouth closed. The new guidelines would permit smiling with a closed jaw, but it is not a preferred expression for your passport photo. Remember, a passport photo can reflect your confidence and happiness if you closely follow these tips. This entry was posted in Blogsphere, Passport, Passport Photos, Travel on January 30, 2008 by Admin. The eyes should always be pointed forward. Ms. Foxy Brown we're here! look at us! This entry was posted in International, Passport Photos, Travel on January 27, 2008 by Maya. Been a pleasure getting the warm enthusiastic appluase from the Consumerist blog. From the day we started the ePassportPhoto way back in 2005, we felt there's some serious gap between what the photoshops and the Walgreens' are charging us and the actual value they provide. Passport photos to all – for free. Of special notice, I wanted to say thanks to WILMAWONKER who posted this great photo. Great to see that even the ePassportPhoto.com has serious competition out there! and handed us the remaining two copies. This entry was posted in Blogsphere, Free, Passport Photos on January 24, 2008 by Maya.